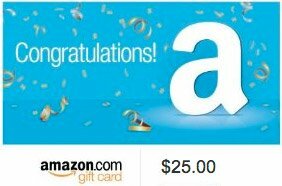 One (1) Grand Prize winner, chosen at random by Best-Ever-Cookie-Collection.com, will receive a $25 Amazon Gift Card. Best-Ever-Cookie-Collection reserves the right to add additional prizes and to change the current prize to equal or higher values as needed. Monthly Cookie Contest Giveaway for February 2013 is accepting submissions now through 11:59pm (midnight) Pacific Time, February 28, 2013. Only submissions submitted online at (www.best-ever-cookie-collection.com/cookie-contest-giveaway-feb2013.html) will be accepted. Visit www.best-ever-cookie-collection.com/cookie-contest-giveaway-feb2013.html and complete the online contest entry form. No purchase necessary and there is no entry fee. There are some restrictions in some U.S. states and there may be restrictions in some countries. This contest is void where prohibited. Valid contest submissions require at least one quality photo and a brief description of your technique or the origin of the recipe or anything you think other cookie bakers may want to know. Go ahead and flaunt it - this is not the time to be humble! The more original your story, the better! The maximum image size you can upload is 800x600 - please resize your image(s) accordingly. You may enter more than one favorite cookie recipe, but each valid contest entry must be unique - NO duplicate recipes will be accepted. We have no restrictions on who can enter. Our contest is open to contestants of all ages, including food professionals, amateurs and hobbyists. Anyone with a favorite cookie, brownie or bar recipe is welcome to enter. By submitting your entry, any recipes, stories and photos become the property of Best-Ever-Cookie-Collection.com and will not be returned to you. All entries should be non-commercial and non-promotional to be considered for prizes. Best-Ever-Cookie-Collection.com (contest sponsor) is not responsible for failed contest submissions, or errors or omissions in printing or advertising this contest. One (1) Grand Prize Winner will be chosen at random from all eligible Monthly Cookie Contest Recipe entries. Contest winners will be notified on or before Tuesday, March 5, 2013 by email. Winners will be notified by email and must respond within (10) days or else they will be disqualified and forfeit the winning prize. If your winning prize is returned as undeliverable, you may be disqualified. Best-Ever-Cookie-Collection.com reserves the right to cancel this contest at our discretion.